"iOS 8 upgrade stuck in recovery mode, connected to iTunes but failed. How to exit?" How to fix iPhone, iPad, iPod stuck in recovery mode is not a difficult problem. The most common thing when iOS 8 upgrade suddenly failed is that your device will get into recovery mode, with the "iPhone connect to iTunes" symbol (in iOS 8, the iTunes symbol is red). We test many ways to work out, and find that there are 2 workable solutions for you to get out of this burdensome recovery mode. See as below. Part 2. How to Fix iPhone/iPad/iPod Stuck in Recovery Mode during/after iOS 8/9/10/11 Update? Any iOS System Repair (ReiBoot) is a free tool based on PC (Windows 10/8.1/8/7/XP/Vista) to help exit recovery mode and then force your device to reboot to normal. If you have a Mac, go to Any iOS System Repair (ReiBoot) for Mac. It's simple and only 1-click. 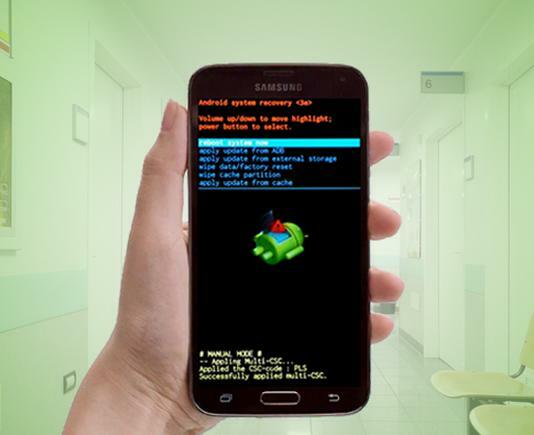 Many users have tried this tool to fix recovery mode, and if you fail, try solution 2. To use Any iOS System Repair (ReiBoot) to exit recovery mode, just run the tool on your computer and connect your iDevice to the computer. Any iOS System Repair (ReiBoot) will recognize the device in recovery mode. Click on the "Exit Recovery Mode" button. Alternatively, you can try iTunes to restore your iPhone, iPad or iPod that is stuck in recovery mode during iOS update. The "Restore" here means to restore your device to the original factory settings and download the newest iOS to restore to the iDevice. This can fix the stuck in recovery mode and help you get the newest iOS on your device. Note that restore will delete all data on your device, so it's better to backup data before iOS 8 update and before restore. Connect your iPhone, iPad or iPod touch that is stuck in recovery mode to computer and open iTunes. Here we take iPhone as an example. Note: Make sure your iTunes is the latest version. 1. After you connect iPhone to computer, iTunes will recognize your iPhone in recovery mode. If iTunes fails to recognize it, do as below: Turn off your iPhone and leave it off, plug in your device's USB cable to a computer with iTunes, hold down the Home button of your iPhone as you connect the USB cable, keep holding down the Home button until you see the "connect to iTunes" screen on your iPhone. 2. In iTunes, click on "Restore iPhone". 3. Then iTunes will detect the newest iOS and remind you to restore. Click on "Restore". Note: Fails to restore your iPhone? Try to put iPhone into DFU mode and follow the same steps to restore your iPhone. Remember that DFU mode will get your data lost forever, so make sure you have backed up your device before. 4. After that, iTunes will automatically download the newest iOS 8 firmware and update to your iPhone. Don't unplug the USB cable until it finishes. "Yesterday I tried to update my iPhone 5 from iOS 7.1.2 to iOS 8 and iTunes throwed Error 14, and now the iPhone is stuck in recovery mode." "Just tried to update my iPad Air to iOS 8 and it could not be used because it's stuck in recovery mode." "Help! My iPhone stuck in recovery mode after updating to iOS 8. How to get out of it?"